Book online at www.luxuryplussuits.com or call us for a free fitting at our showroom in Kingston, ACT 2604 or we can come to you. Our expert fashion consultant will provide you with preofessional advice to make your suit according to your body structure and your profession. We will do 15 different body measurements of your body to make your suit hundred percent gaureanteed fit. Color, pattern and quality of fabric are some of the important things to decide the fabric of your suit. Select from a plethora of fabrics and customisation. Lapel width & style, vent, number of buttons on sleeve and Jacket, lining of Jacket and last but not the least fitting of Jacket and trouser are imporants things to consider to finalise the customisation of your suit. We guarantee a perfect fit or your money back.Urgent order can be process in 3 weeks and standard turnaround time is 5 to 6 weeks. 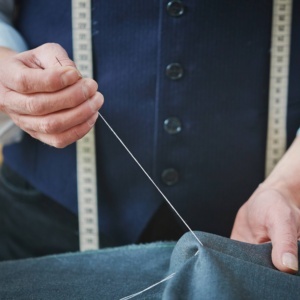 Once your suit ready for fitting, any type of alteration is included in the package. Check our google reviews (Luxury Plus Sydeny) to hear what people say about our service and quality of work. Call us at 0451 476 486 or email at au.luxuryplus@gmail.com for any further questions/quries.